Some of the most common questions we hear at the Agency are, "What benefit does space exploration actually have? What’s the point of sending people into space when we’ve so many problems here on Earth to sort out?" Or, as Jeremy Paxman so eloquently put it when interviewing British ESA astronaut Tim Peake – in a manner best described as ‘weirdly aggressive’ - "you’re just drifting around, aren’t you? ... astronauts nowadays just seem to be floating about playing guitar…"
Of course, when dealing with public money, questions over how best to spend it are ever-present, and necessary; these are just the kinds of questions we ought to be hearing (though preferably minus the weird aggression). Part of the problem is the common image and supposed allure of space. Space exploration really captures the imagination as an exciting thing in and of itself: futuristic technology, alien planets, astronaut heroes, childhood dreams. Luca Parmitano in EMU spacesuit fit check. Credit: ESA. But, people don’t always realise that broader societal benefits inform what we do in space. In fact, such benefits are the major consideration for all public space investment. The UK government has taken a very hard-headed approach to funding space programmes: only areas with proven social and economic benefits are funded. The perceived glamour and excitement of space travel simply don’t matter – we want to invest in activities which improve society, contribute to the economy and improve our scientific knowledge. One example of this is research on ageing. Notwithstanding the Hollywood schlock of Space Cowboys, space and ageing might sound like an unexpected link. However, the UK’s rapidly ageing population will have profound effects on how we function as a society with challenges for social policy, economics and healthcare. It is in the latter, through improving biological and medical understanding of ageing, that space can make a real contribution to one of the most pertinent and knotty problems: How we can improve the health and wellbeing of people as they get older? ISS with ATV and Shuttle docked captured by ESA's Paolo Nespoli credit: ESA/NASA/Roscosmos. 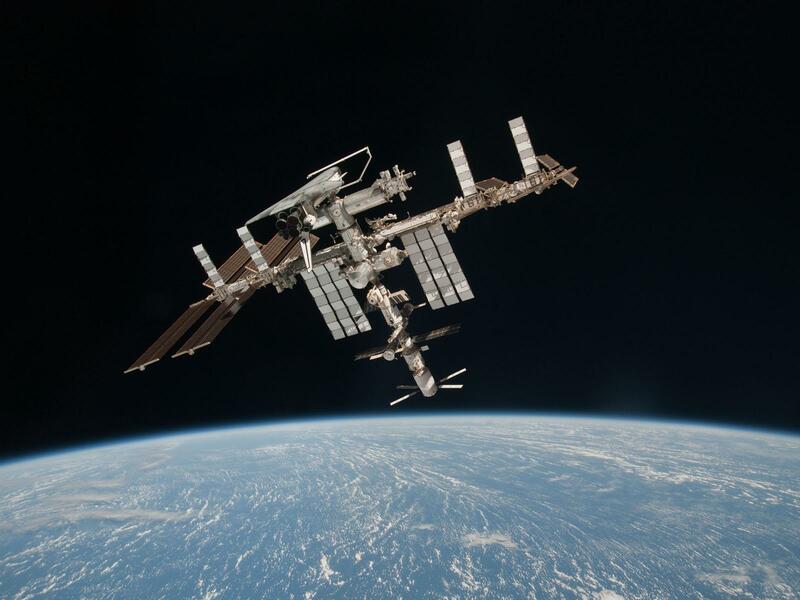 Through European Space Agency programmes, our researchers access space-based (i.e. the International Space Station) and space-analogous facilities (e.g. bed-rest, Antarctic stations, parabolic flights) and address questions closely related to ageing, lifelong health and wellbeing in a number of ways. 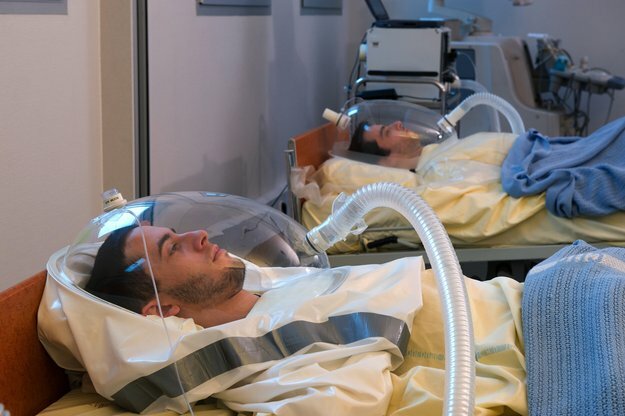 Exposure to microgravity (commonly known as ‘zero-gravity’ or ‘zero-G’) accelerates the physical deconditioning of the body, in a similar way to ageing: bone and muscle loss and disruption of perception and balance are all witnessed in spaceflight, but the mechanisms behind these are not yet well understood. Also, physical inactivity of the body in space causes muscle loss, insulin resistance, obesity, metabolic syndrome, osteoporosis – such inactivity is closely associated with ageing, but also relevant for post-operative care and rehabilitation in hospitals. 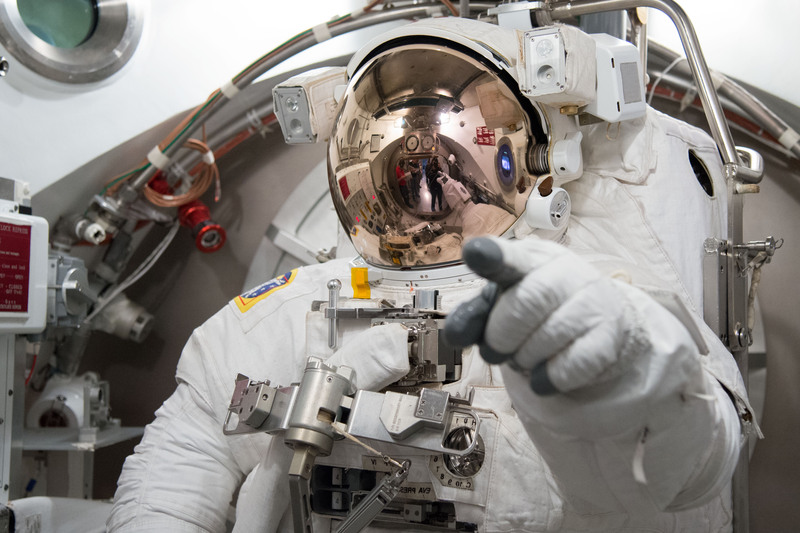 Human spaceflight offers a great opportunity to investigate preventative interventions, and astronauts are ideal subjects: healthy and medically ‘normal’ individuals, with one major variable – weightlessness – affecting the functioning of their bodies. Of course, sending people into space is an expensive business, and this is why we have facilities on the ground to mimic aspects of being in space. Perhaps the most relevant of these space ‘analogues’ for research on ageing is bed-rest. This might sound attractive when thinking about hauling yourself out of bed on a dark winter morning, but in reality it is a serious, and arduous, endeavor. Bedrest energy. Credit: CNES-E. Grimault, 2013. Volunteers are confined to bed for as long as 60 days, on a 6° downward tilt towards the head end. They may not stand up unless the research demands it, and perform all daily activities in bed, including eating, washing and exercising. The volunteers’ bodies respond to this regime as though they are in space and, as with their astronaut counterparts, researchers can observe a sample of otherwise healthy individuals as their bodies adapt to new conditions. Working closely with the UK Space Agency, the Biotechnology and Biological Sciences Research Council (BBSRC) has recently committed up to £3M to support UK teams using ESA bed rest facilities for research on ageing – a great example of public bodies working together and using novel approaches to address an issue that affects the whole of society. So, that’s one example of an area where spaceflight can deliver profound benefits, beyond the novelty of floating around playing guitar. Perhaps I’ll post other examples in future – it’s just hard to choose as this research is impacting on an almost absurd range of subjects including new materials, microbiology, astrobiology, plant biology, astrochemistry, quantum physics, fluid physics, psychology, telemedicine, pharmaceutics…and so on. For the latest updates on the Agency's space exploration programme subscribe to our email alerts and follow us on Twitter. "The UK government has taken a very hard-headed approach to funding space programmes: only areas with proven social and economic benefits are funded." - that's why UK was pushed from being one of the global leaders in space exploration to being third if not fourth grade player. As ever it depends on definitions. I'm not sure of your grading system, but the UK is still an internationally significant player in space exploration. Are we 'one of the global leaders' in terms of our total technological capability to explore space? No. But being merely a 'global leader' as a goal in and of itself might be rather vainglorious, as I suggest in the post. Also, it is worth pointing out that the space sector in the UK is growing and our global position is strengthening as a result. For a more detailed analysis see https://www.gov.uk/government/publications/uk-space-industry-size-and-health-report-2014 for our lateast 'size and health' report. and school children, but not to the general public where the interest on this level is emence. There should be volenter programs, basic educational space related topics open to the public regardless of age or walk of life. If this can be achieved then this would be a great help to the space industry aswell as to the public in general. With these two idea's combined We can truly go foward as a space race nation. I believe 'space related concerns' are relevant to everybody's life, directly or indirectly - and I hope we at the Agency reflect this through our range of activities, engaging not only with the sectors you mention but the breadth of society. Hi Malcolm, our recruitment is held through the Civil Service recruitment website. Any vacancies that do arise are usually promoted through our social media channels, therefore it is worth subscribing to them. Oh my goodness! Incredible article dude! Thank you so much, However I am having problems with your RSS. I don't understand why I am unable to join it. Is there anybody getting identical RSS issues? Anyone that knows the solution can you kindly respond? Thanks! !